So you’ve got a Shrimpy account, a Binance account, you know rebalancing could help you, but you don’t understand API keys or how to use them. Keep reading! 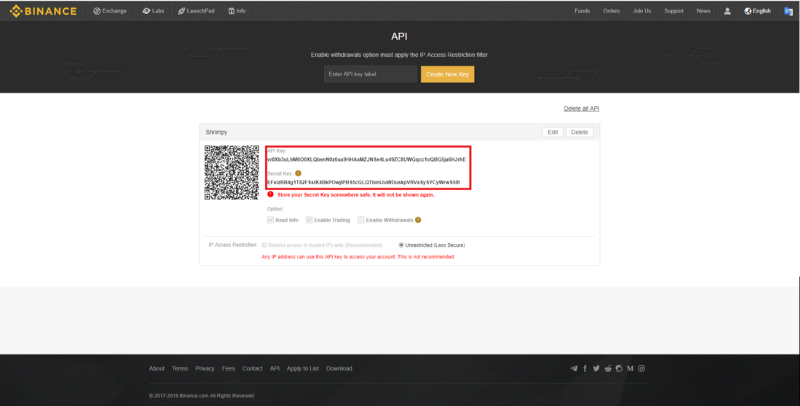 Above is what Binance says about API Keys. Basically in order to rebalance and diversify your portfolio we need an API to talk to the exchange. Shrimpy allows for any number of exchange accounts to be linked to a single Shrimpy account. That means if you want to have 10 Bittrex accounts linked to Shrimpy, you are more than welcome. If you want to link 3 Bittrex, 1 Binance, 9 KuCoin, 5 Coinbase Pro, 7 Kraken, and 31 Poloniex exchange accounts, this is all possible inside a single Shrimpy account. 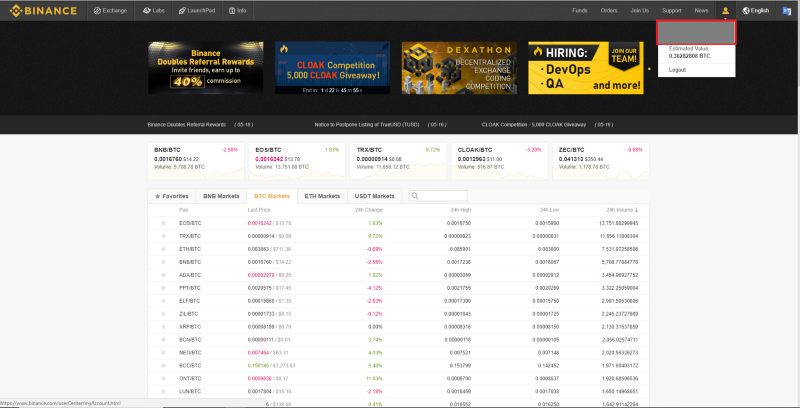 Login to Binance. Click on the Account button under the person icon on the top right. 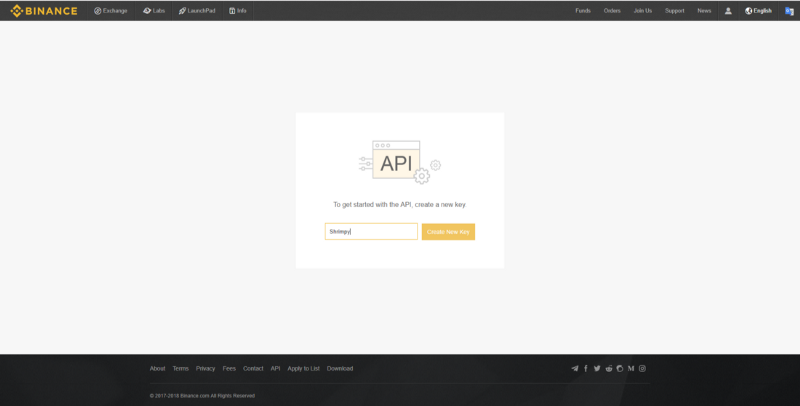 Click on the Enable button in the API section of your Account Dashboard. Enter your 2FA code if you’re prompted. You will receive an email with a link you need to click to verify the activity. This link may expire after 15 minutes. 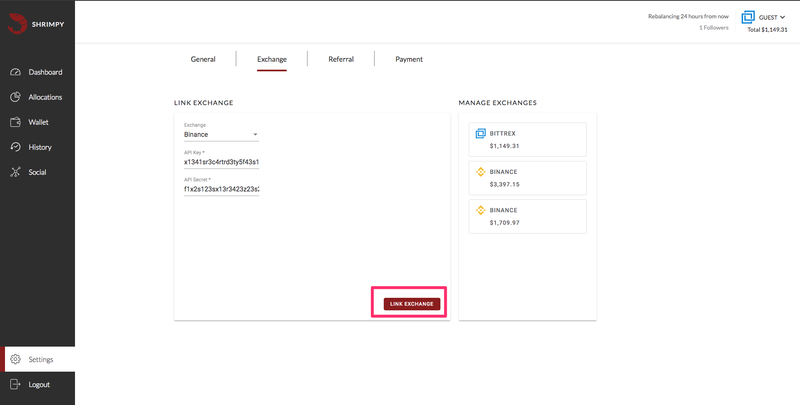 Select Binance as your exchange and paste your Keys into Shrimpy. Hit "LINK EXCHANGE". 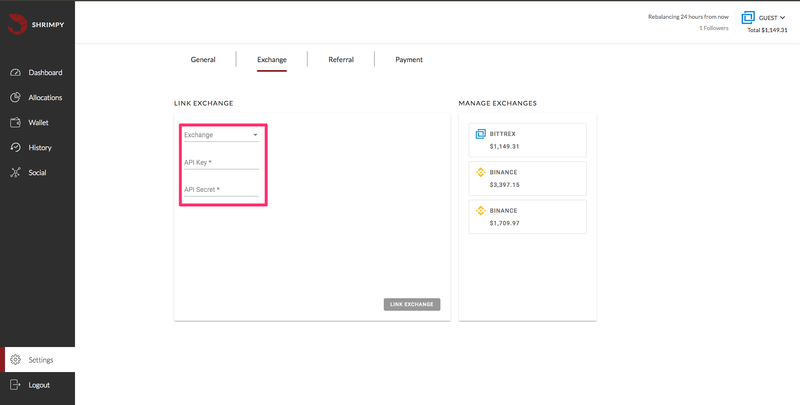 This will add your exchange to the right column, where it says "MANAGE EXCHANGES". 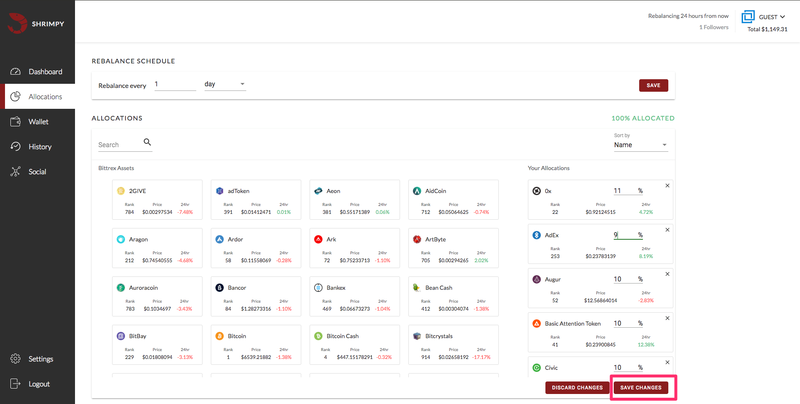 Now it’s just time to select which cryptocurrencies, crypto, token, coin, etc. (or cryptoassets as we call them) you want and how often to Rebalance. If you want some guidance on how often to rebalance or how many assets to choose, stick around to the end of the guide. Make sure you see the green 100% Allocated at the top right and have a rebalance period set before hitting Save Changes in the bottom right.